Not only are automated production processes to be found on assembly lines, but also in the subsequent inspection and testing steps. 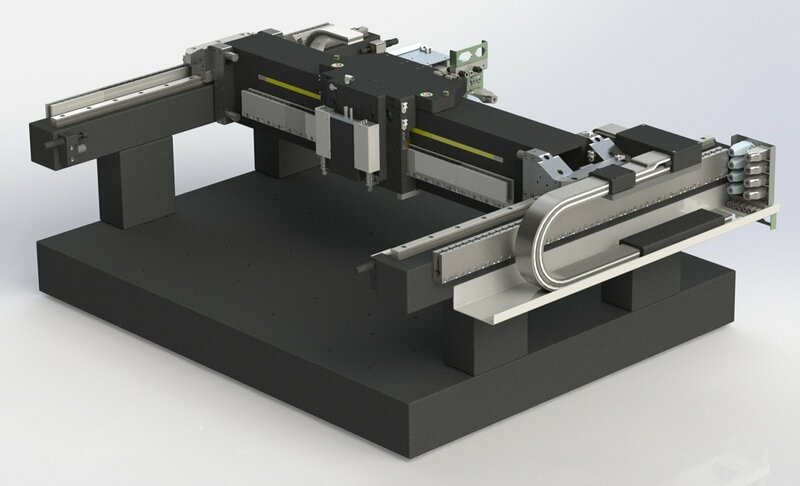 Motion and positioning systems providing several degrees of freedom are gaining in importance for increasing throughput with at least the same or improved quality. 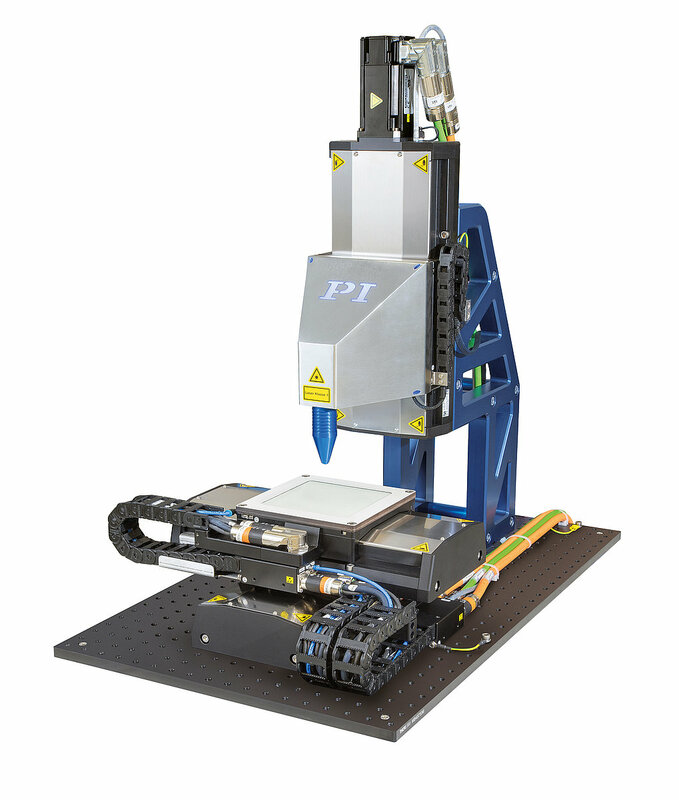 PI has both the experience and know-how for complex, high-precision solutions. Read here how we can work together for an optimal solution. This solution for industrial laser material processing integrates various different axes that are exactly tuned to the respective function. Close cooperation with the development teams of the customer at the construction level is very important during the process of coordination. This begins during the conception phase. If a wide range of technologies is available, the customer can be sure that he always gets the best solution. 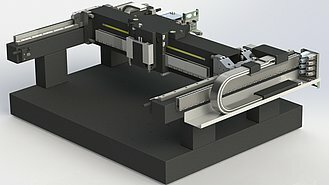 PI offers a unique and comprehensive range of self-developed drive technologies based on direct drives such as voice coil and linear motors as well as piezo technology. These are very stable systems with granite bases and air bearings that meet the highest requirements on flatness and travel accuracy. The motion system fits seamlessly into the application environment thanks to the integration of high-performance motion controllers with industrial interfaces. Industrial automation solutions are required in a large variety of different integration depths. 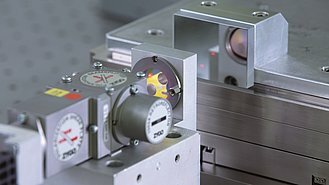 Complex multi-axis systems can be set up with standard axes and designed for the required accuracy. 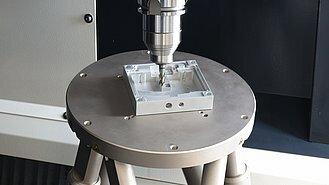 Parallel-kinematic designs are alternatives that benefit from axis-independent accuracy and stiffness, particularly when used in an industrial environment. It is not only necessary to provide technically perfect solutions for industrial automation, but keep the economic efficiency in focus. From the start, this includes the constructional design, which always needs to keep an eye on costs. Delivery schedules and quantity structures provide both the customer and us at PI as supplier with the required planning security. The production process must be as flexible as possible. Suitable structures such as the fractal organization at PI are necessary for this. The fractals organize procurement, assembly, and qualification of positioning systems in small, manageable units. This also allows quick changes and offers room for growth. All processes are subject to scrutinizing in regular audits. 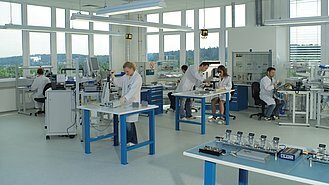 Measuring is done in special laboratories according to customer requirements and traceable data can also be made available to the customer. This is an important means of quality assurance, especially in series production. Consignment and a worldwide after-sales service round off the product range.